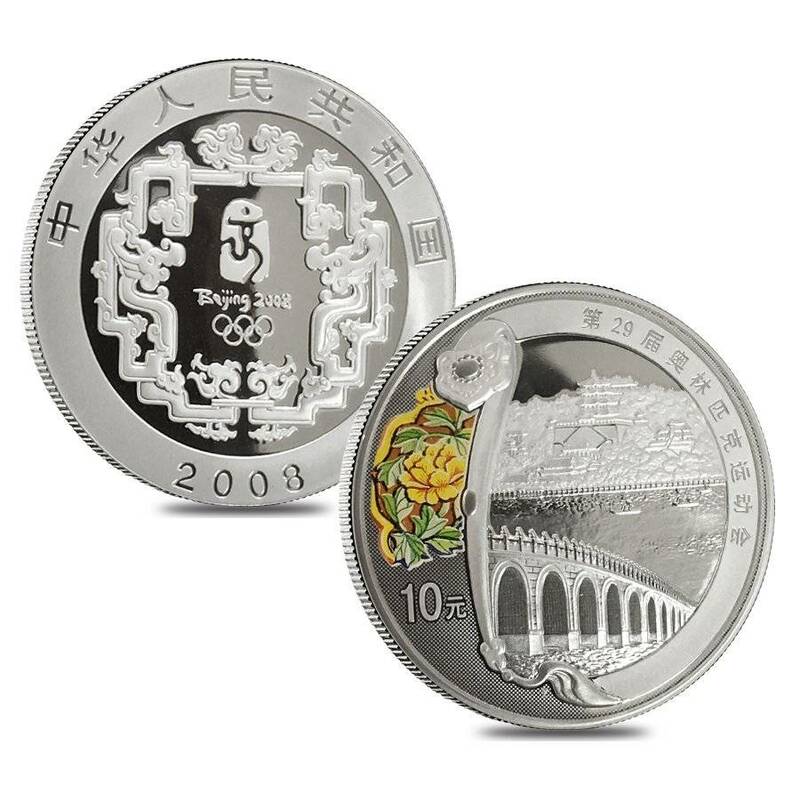 In 2008, China hosted its first ever Olympic games in Beijing. To commemorate this event there were three sets (Series I, Series II and Series III) created to signify this occasion. 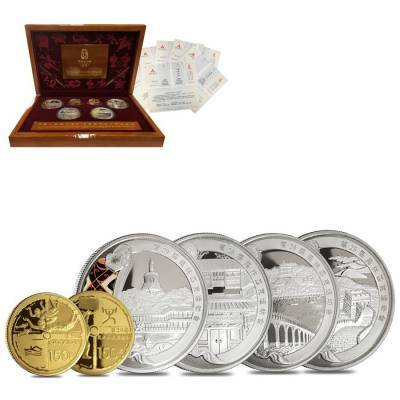 Each series contains two 150 Yuan gold proof coins and four 10 Yuan silver proof coins. 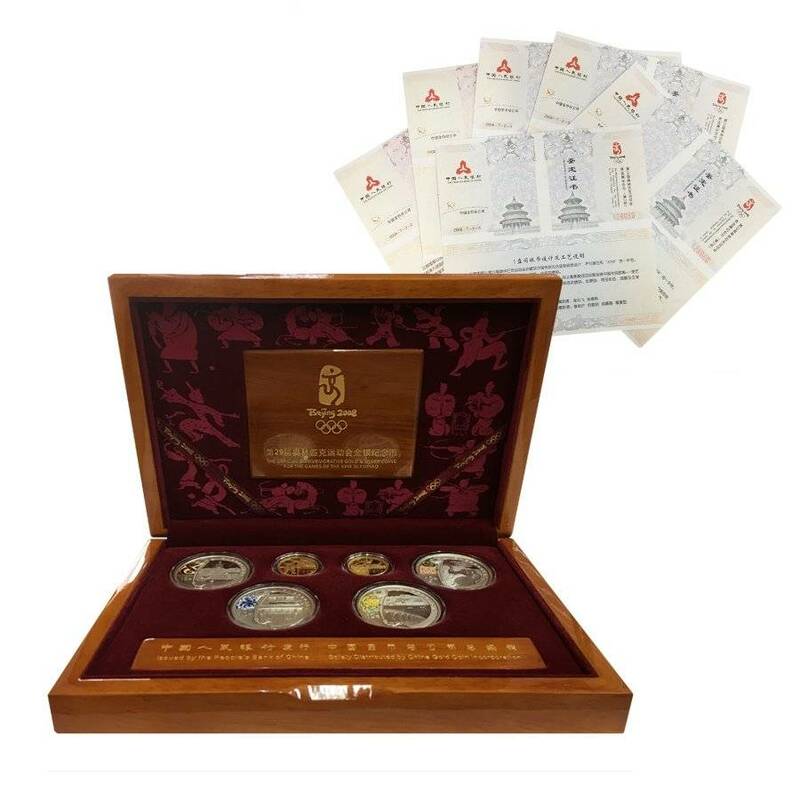 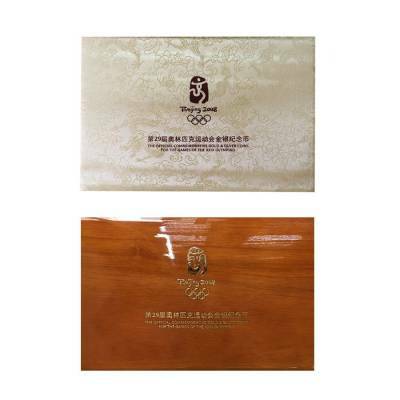 Worldwide distribution of the Beijing 2008 Olympic Proof sets was strictly limited to less than 10% of the overall population making it a rare set coveted by true collectors. The obverse of the gold coins in this set features the title of the PRC (People’s Republic of China), the year of mintage, the traditional Chinese dragon image and the emblem of the Olympic Games. 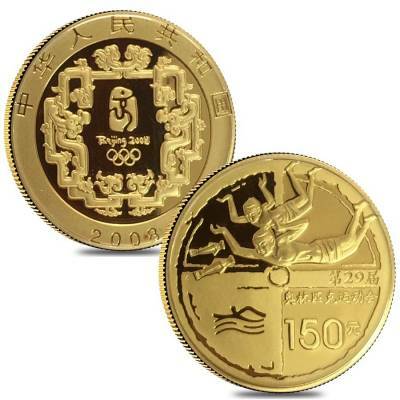 The reverse of both coins displays a different Chinese Olympic event. 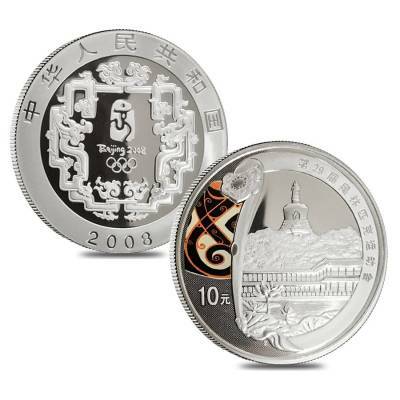 The obverse of the silver coins in this set shows the title of the PRC (People’s Republic of China), the year of mintage, the traditional Chinese dragon image and the emblem of the Olympic Games. The reverse displays a different design based off famous Chinese landmarks. 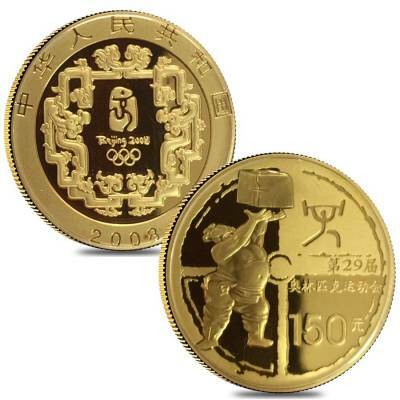 For every $1 spend, you will earn 1 Bullionaire Buck which is equivalent to $0.001 off a future purchase. 955 BB = $0.96.